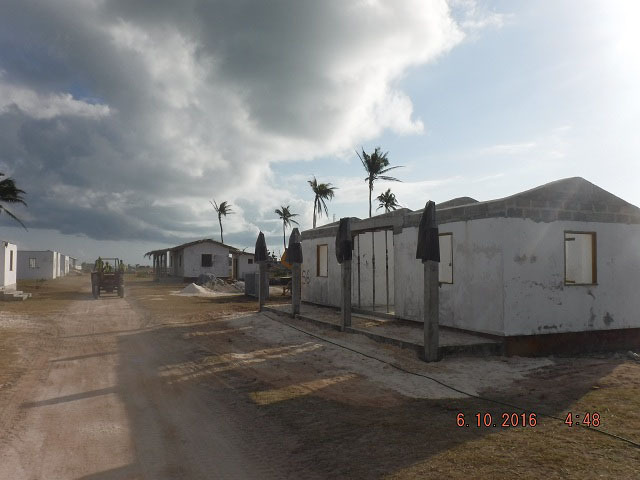 (Seychelles News Agency) - Six months after being hit by a cyclone, new buildings are going up on the remote Seychelles’ island of Farquhar. 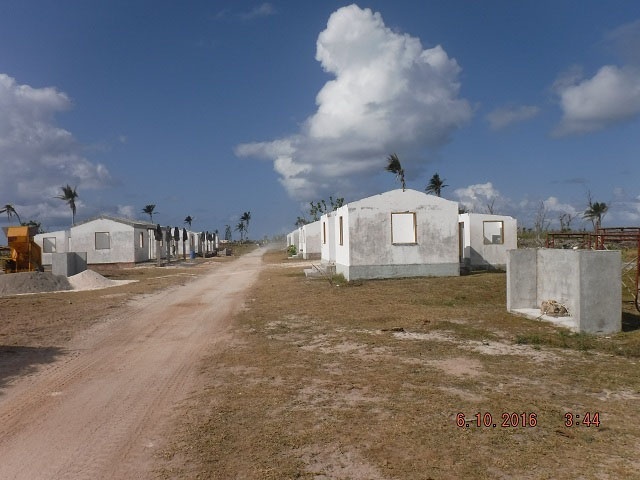 The Island Development Company, IDC, which manages the island, has said island buildings are being rebuilt using cyclone-resistant standards. According to Savy, the new infrastructures will able to withstand winds of more than 300 km/hr. The reconstruction of water and electricity storage, staff accommodation and guesthouses destroyed by the April storm is expected to end in a year’s time. Farquhar, which lies more than 700 kilometers south of the Seychelles main island, Mahe, was the hardest-hit of a group of southerly outer islands lashed hard by tropical cyclone Fantala in mid-April. Farquhar was hit three times by the tropical cyclone – the strongest tropical cyclone to form in the southwest Indian Ocean in recent years. This prompted the government to declare Farquhar and other affected islands as disaster areas. IDC is a parastatal company which manages some of the outer islands of the archipelago has been managing Farquhar since the mid-1980s. The company operates guest house facilities on the island, which is also is famous for fly-fishing alongside other economic activities such as the production of copra using coconuts from the vast plantations which used to stand on the island. 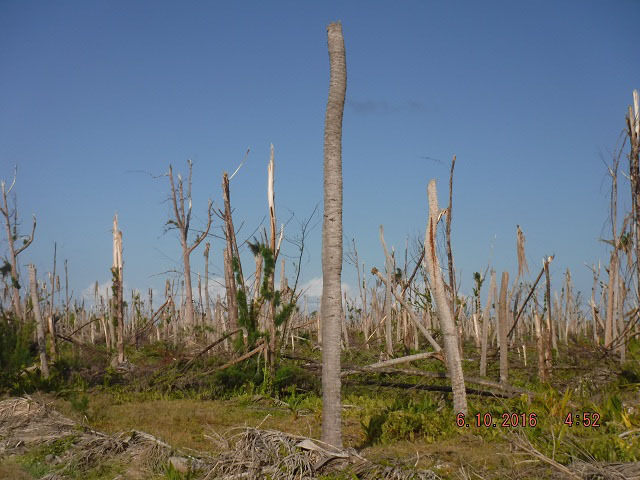 While the natural ecosystem of the island such as the native shrubs covering beach crests and sand dunes, and bordering swamps, were less damaged, the agricultural areas and highly-modified environments of coconut and casuarina forests on the other hand were greatly affected and need to be to re-planted and restored. In terms of its other economic undertakings, Savy said that IDC has found ways to sustain its flying fish activities by aiding the transport of fly fishing enthusiasts to the island. Earlier this year, a World Bank team said cyclone Fantala caused $4.5 million in damages and losses on Farquhar and estimated that the Seychelles government will lose around $500,000 in revenue which it collects as value added tax and business tax from the island during its gradual recovery. Savy has said that it awaits loan facilities from the World Bank but is in the meantime using some $750,000 (10 million Seychelles rupees) received through insurance claims for the initial rebuilding of damaged infrastructures. 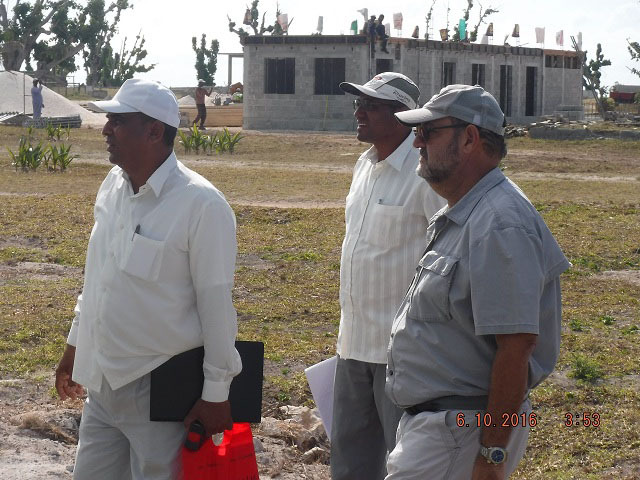 IDC is also contributing towards the initial reconstruction costs. “The majority of assistance needed and expenses will go towards rehabilitating the vegetation on Farquhar,” Savy said, adding that this is of importance to the workers and visitors as well as for the island’s economic sustainability. A study is being undertaken by the United National Development Programme, UNDP, to assess how to better rehabilitate the group of islands. 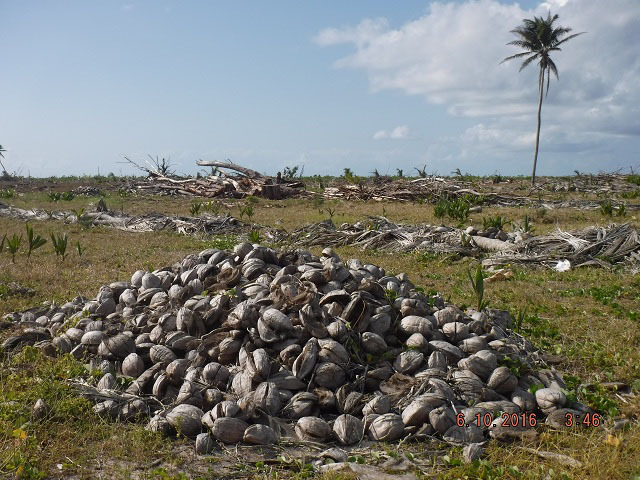 IDC is also rethinking the management of the atoll with the help of conservationists from the Island Conservation Society, ICS, which will soon return to the island. ICS is an environment not-for-profit organisation with know-how on protection and rehabilitation of small islands of Seychelles, particularly the outer islands. “We want to start classifying part of the island as protected areas or national parks while the rest will be used for activities such as tourism and fishing but in a controlled and manageable manner,” said Savy. It is expected that the rehabilitation of the island’s vegetation will take between 5 to 7 years. According to IDC, Farquhar was generating some 6 to 7 million Seychelles rupees [$450,000 to $520,000] a year as profit for the company before the cyclone. “We are not losing the entire amount as we are still getting some revenue from our fly fishing activities and flights, but definitely we are losing some 3 to 4 million rupees this year,” added Savy. Fantala, although the strongest cyclone to hit Farquhar, was not the first storm to hit the island, which was previously affected in 1956 and 2006.